The quote he tweeted comes from the salon article which describes the horrific experience of watching this channel. If you haven't watched the programming, then you are in for a comedic treat. The programming there is a disaster. Those on the network present smugness, intolerance, arrogance and ignorance in their monologues. 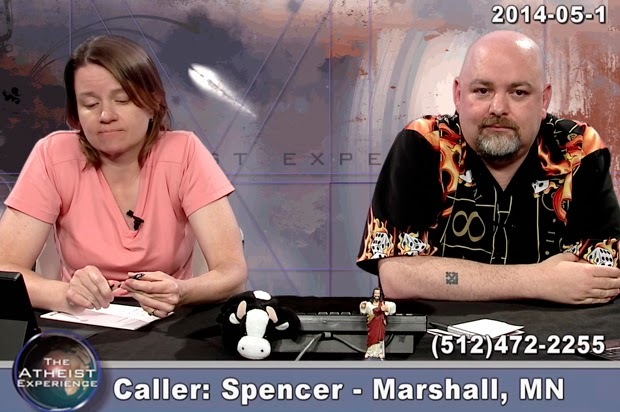 We have hosts saying to call in and "say how stupid your God is" as well as ignorant statements regarding Scripture, the attributes of God and theology. Those who host their own shows on this channel are clearly uneducated and make the programming look like it is hosted by a KKK member trying to convince his audience that White people are superior. The shows hardly have anyone calling in which gives an indication that no one may be watching at all. Atheist TV is an absolute failure. If you have ever run into Twitter atheists with their caricature accounts posting ill informed memes and other tasteless things, then you will pretty much see the same on Atheist TV. The network is comprised of intolerant uneducated bigots who rely on misconceptions, rhetorical zingers, sarcasm and the like in order to posit sophism as fact. Atheist TV will only cater to immature youthful minds who seek an outlet of rebellion where nothing is sacred and can be bashed without consequence. The network disregards facts, promotes errors and creates an atmosphere of hostility which demonstrates the desperation the atheism movement has in order to keep the spotlight on itself. We know that kids often behave badly due to a desire to get attention. 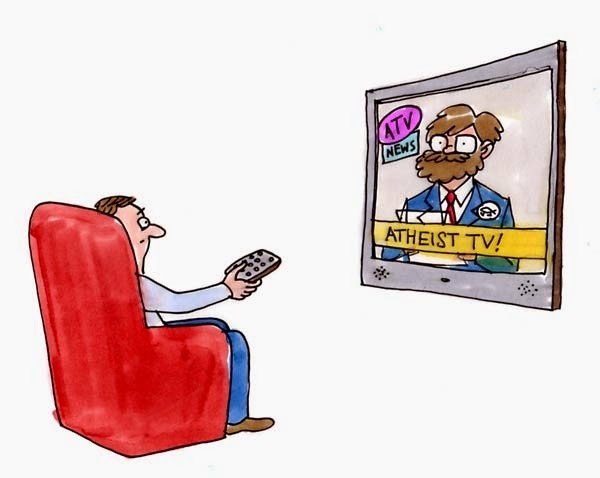 Atheist TV is no different. These angry individuals who speak on the network only seek attention. They offer nothing to intelligentsia and instead replace it with special pleading fallacies and misconceptions that show that these people did not do their research on the topics they criticize. On the network, you will not find scientists, scientific programming or serious theological and philosophical discussions. It is merely comprised of "average Joe" reactionaries wasting time promoting diatribe and overall stupidity. The use of derogatory epithets such as "sky fairy" or "zombie Jew" clearly shows the people we are dealing with. Rumor has it that even "Aron Rah" will be having his own show on the network. In any event, if this network continues to exist then it will help theism. People who are intelligent will see this programming and will seek the alternative. No one can take a network full of clowns seriously. Those on the network clearly do not have a grasp on basic logic or anything for that matter. I assume that a visit from a theologian or even Dr. William Lane Craig will really bring out the stupidity of the hosts on this network. Unfortunately, this network is propagating the stereotypes regarding atheists who are seen as social trolls. There are in fact intelligent respectful atheists out there who do not get air time. Instead, we are stuck with the personification of comic relief representing atheistic ideas and opinions. In the end, those who are intelligent and educated will see this network as comedy instead of something serious and stimulating to the mind.